Shuffle the cards well and place cards face down in a pile. Open the top 2 cards. Each player chooses his own number from the numbers shown on the 2 opened cards. First round: Each player decides whether to ADD or SUBTRACT the chosen number from ‘55’. 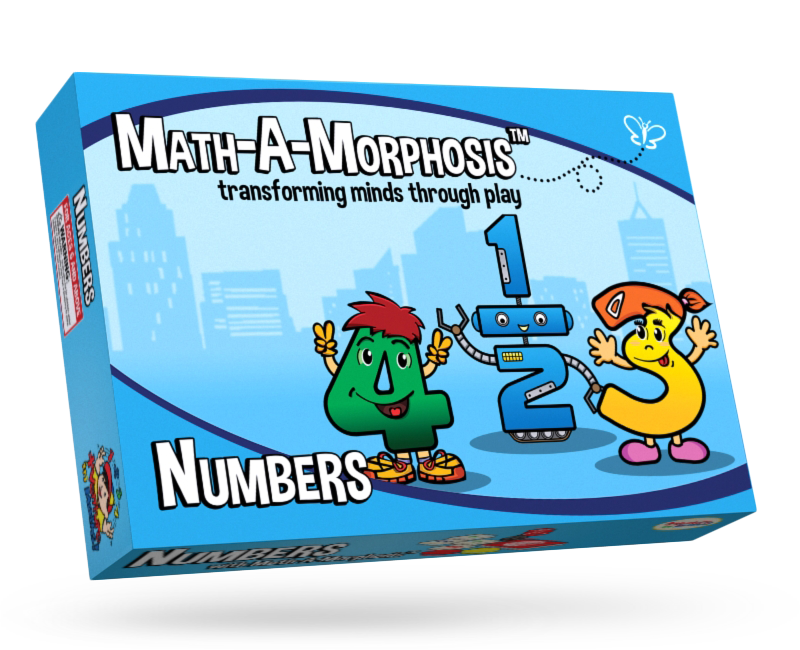 Subsequent rounds: Each player decides whether to ADD or SUBTRACT the chosen number from the answer in the previous round. Each player works out his answer and write it on his game board. Answer should be between 0 and 100. Each player checks the answer of the player seated on his left. 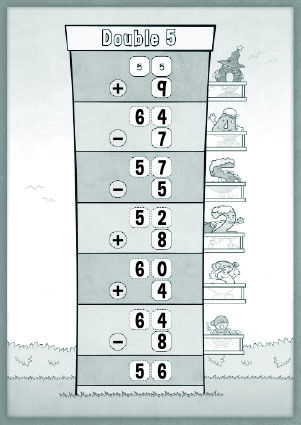 If the answer is incorrect, player will have to correct the answer and surrender one of his counters. If a player has surrendered all 3 counters, he is out of the game. Put the 2 opened cards aside, repeating steps 2 to 6, until all players reach the last line of the game board. The player with the final answer nearest to ‘55’ wins the game! ‘55’ is known as the ‘GOAL’.